As an artist who probably makes a substantial income from licensing his music, you might think Neil Young would frown on piracy and file-sharing, but that appears not to be the case, according to an interview he gave at the Dive Into Media conference in Los Angeles. Instead of railing against file-sharers, Young called piracy “the new radio” because it’s “how music gets around.” The musician’s comment puts a lot of the hysteria about copyright infringement into perspective — as we’ve pointed out before, file-sharing and monetization aren’t mutually exclusive, and in many cases a certain amount of so-called “piracy” can actually be good for business, as authors, musicians and even game developers have come to realize. Comparing piracy to radio is a smart way of looking at the issue: in the early days of the music business, when live performances and record sales were the main revenue generator for artists and publishers, radio itself was seen as a form of piracy (as sheet music was before that). Musicians fulminated about radio stations playing their music for free, and some record labels made their acts sign waivers saying they would not appear on the radio. In the end, of course, radio became a huge revenue driver for music — although it did so in part because record labels and publishers pushed for licensing fees. I look at the internet as the new radio. I look at the radio as gone. […] Piracy is the new radio. That’s how music gets around. This idea of piracy as being “how content gets around” doesn’t just apply to music either. In a videotaped comment last year about piracy, British author Neil Gaiman — who I interviewed recently about his opposition to the proposed federal anti-piracy bills SOPA and PIPA — said that he used to be irate about people pirating his work, but eventually came to realize that he was actually selling more copies of his physical books in those countries where piracy was the highest. Brazilian author Paulo Coelho found the same thing, and actually started uploading his own work to files-sharing sites without telling his publisher. Some game developers — the digital-era equivalent of songwriters and authors, in many ways — have also come to see piracy as being a necessary evil, and in many cases a positive force. Markus Persson, the Swedish developer of the massively popular game Minecraft, has said that he came to see piracy of his game as a form of marketing. And at a recent music-industry conference in Europe, the CEO of superstar game company Rovio (creator of Angry Birds) said that piracy “may not be a bad thing” because it increases demand for the official version of the company’s products. Even Microsoft CEO Bill Gates has been known to see the virtues of a little piracy, especially in developing markets like China. The Microsoft founder reportedly said of that market: “As long as they’re going to steal it, we want them to steal ours. They’ll get sort of addicted, and then we’ll somehow figure out how to collect sometime in the next decade.” Gates clearly saw pirating as a kind of loss leader, creating eventual market demand. We’ve described before how one of the reasons why users engage in copyright infringement is that distributors make it too cumbersome to get the official version of whatever the content is, as venture capitalist Fred Wilson complained in a recent post, admitting that he pirated a livestream of a basketball game. But the example of comedian Louis CK — who allowed anyone to download his comedy special for just $5 with no copyright protection, and made over $1 million in less than a week — shows that there is still room for creators to monetize their content, if they make it as easy as possible. As Andrew Weissman of Union Square Ventures noted in a recent post, information wants to be free — not necessarily free meaning it costs nothing, but free in the sense of being friction-free to access. And if you don’t make it easy for your music or writing or other content to “get around,” as Neil Young puts it, then piracy will take care of that for you. I totally agree with Pat. Neil Young no doubt made a mint off of radio licensing fees, and still does make some money this way. Why the double standard for up and coming super-talented musicians who have to make lattes at Starbucks because of the impossible financial situation of supporting yourself on your music alone? Hackers from Sweden, etc. are contributing to the many factors making it impossible for musicians to earn a living. There won’t be many tracks to pirate soon, who has the 20K (minimum) to produce a record if venues charge rent, airlines charge for musical instruments, and nobody agrees to pay a measly dollar for one track? Neil Young saying it’s okay to steal music is like Warren Buffet saying everyone can afford to pay more taxes. Terrestrial radio still exists, satellite radio exists, free Internet radio like pandora exists. Of course when you listen to music on those mediums, artists get paid. And the tired argument about piracy really being “sampling” and people paying for pirated music they like is pure BS. iTunes, Amazon, and other legit vendors allow you to sample a substantial portion of a song before you decide to buy. Most of you people are nothing but a bunch of ingrate thieves and it’s sad how delighted you are that some old, rich, washed up Canadian artist told you it was okay to do what you know deep in your heart is wrong. The claim that radio pays artists is not wholly right. Radio pays Performing Rights Organizations (PROs) for playing music by artists. Some of this money is passed along to the artists. In English Canada, where I live, the PRO that collects monies from terrestrial radio is called SOCAN (acronym for Society of Composers, Authors and Music Publishers of Canada). SOCAN collects monies from radio for plays of songs by members and non-members. It does not pay out to the responsible artists those monies it collects for music made by non-members. And, increasingly, in this digital age, there are disadvantages to being a member of SOCAN eg. it requires the artist to assign the rights of administration for their songs to the PRO. This has various negative potential implications including an inability to offer music for free, if the artist so chooses, on a range of sites that exist now for music promotion. In short, the agreement SOCAN requires of an artist restricts their freedom, placing undesirable controls on how the artist can use their own music. Without giving up those rights, the PRO does not pay out to the artist the monies that is rightfully theirs, and which has been paid by radio for the playing of the artist’s music. Until SOCAN and its counterpart PROs end their practice of unjust enrichment by with-holding from non-member artists the monies paid by radio for the playing of those artists’ songs, it’s still more of the same old racket. Thanks Neil–You’ve been my muic hero for 30 years. Now you and Ron Paul are my 2 top political hero’s. Lookin for a leader–?—Vote Ron Paul 2012. Sounds nice, but the comparison is deeply flawed, and you mention it yourself, because artists DO get paid from playing on the radio. And that just doesn’t happen when you visit the Pirate Bay. I admit I torrented Skyrim, tried it, liked it soon much that I bought it. I had more trouble getting the official version (4 hour download officially vs 20 min unofficially) however, AND still had all the same glitches. Now im somewhat upset I paid for broken software, but I like it enough to work around it. My point here? Make it easy to get and it will sell, and don’t hide it behind antipiracy. If it hadn’t have been for the unofficial version, I would have never considered buying it. I still remember when Video piracy was the devil of the time. It was fuelled by the movie companies who would release a film in the US and then in the UK you would wait a whole year for that film. Then it would be another year for it to be on Video. No wonder people turned to piracy. When you look now at films like Avatar being released in the US and UK at the same time to prevent people sharing it before release, piracy has done us a favour. A problem is that record labels blame the decreases on piracy, which is unproven. I would guess an equally if not larger effect is the explosion in the availability of music. A lot of which has to do with the ease of recording music today. Look at the movie industry, revenues are not down and it’s just as easy to get a pirated movie as a pirated album. The barrier to producing a movie is much higher. I hypothesize that technology has lowered barriers leading to more competition, which is hurting big music industry revenues. It’s also so much easier to be indy today from a sunk cost standpoint. Marketing is even easier these days with analytics. As long as theaters continue to bank of blockbusters rather than quality of content, they’ll continue to lose their audiences to the venues that offer more variety of offerings (i.e., art houses, online streaming businesses, and yes, piracy). This film will remain relatively unwatched for a few years unless it finds it’s way to an audience. The filmmakers would be wise to distribute it online in an easily accessible manner. Otherwise they risk losing the potential a lot of potential revenue. Making it easy to *buy* is good, piracy is not. Radio paid royalties, pirates do not. Who is going to pay for the artists to create and record music? Pirates? nope, they are busy lining their own pockets by theft. Furthermore, the quote from Neil is blown up and placed out of context. It is a selective quote. Neil was originally talking about the quality of music and that mp3s were poor from an audio quality standpoint. His concern is about audio fidelity. Neil is a strong supporter of artist rights and record companies. “Young is still on the side of record labels because they care about music and about supporting artists”. Why is is this quote not highlighted? Ask Neil directly how he feels about others making money off his or other musicians creations without them receiving any form of compensation and you will get a very pointed answer. Period. Selective quoting and taking quotes out of context is the domain of sleaze journalism. Sadly, Neil, like many artists know how often this happens. Still, some of us are still willing to get into the ring and fight for artists rights and fair compensation! I have no particular affinity for Neil Young, but it’s nice to know that someone in the business is saying what I’ve been thinking for years. I really like this point by Neil. It goes along with something I’ve been saying for years. I like to use the example of the video game industry. The original Playstation was quite easy to pirate games for and crushed the Nintendo 64 with it’s nearly impossible to pirate cartridge based system. The PS2 was also quite easy to pirate, as was the original Xbox and they were the most successful platforms, with the Gamecube and it’s proprietary disc size lagging behind in 3rd place. There is a caveat to that generation, as the Dreamcast was so easy to pirate for nobody bought games for it. So it shows there needs to be some barrier to prevent piracy, even if it is circumventable. 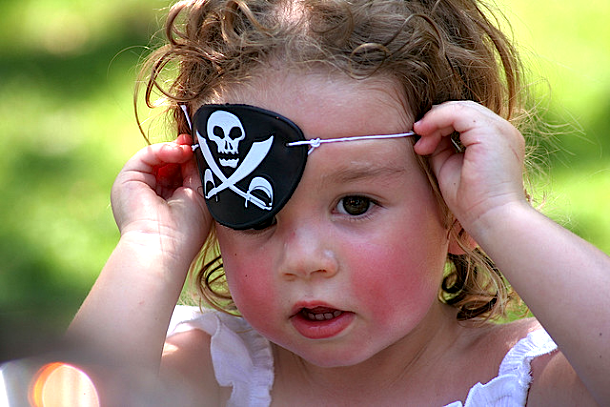 The next generation Sony and Microsoft clamped down hard on piracy and suffered for it. The Wii came to market and was pretty easy to mod and sold like hotcakes after it launched. The way I’ve always looked at it is the pirates are the style makers and leaders. They’re actually playing the games and listening to the music to be able to impart knowledge on what is good and what’s not. Since they have actually experienced the subject in question. They tell friends and family what’s worthwhile and what’s garbage. They may not be spending money on the media, but their friends and family will. Flaw in this logic. Because pirating the game software was easier, Sony sold more consoles than others. What about the folks who wrote the games? How successful were they because of all the folks pirating their games for newly purchased Sony stuff? Did Sony give them a cut of all the money they were making selling consoles to people who weren’t paying for the software to run on it? For all the effort Sony has expended over the years trying to make sure they got a cut out of any system that might copy their copyrighted media (music, movies, etc), I highly doubt it. I hear this same “promotional” and “style maker” argument all the time by people who feel like just because they can, they shouldn’t have to compensate anyone for their work. If you’re a writer for Rolling Stone, or have a music blog with millions of followers, I’ll send you a free copy so you can tell others about it. Don’t try to tell me that because you told 10-20 friends about it that you’re a leading edge style maker and entitled to take what you were supposed to pay me for. The solution is simple. Folks who believe in free public access to their shows, from the Grateful Dead to Radiohead, are free to make their content available through official channels like their website, or authorized tapers forums. In the absence of some official artist release of their performance rights, copying and distributing their material in other than fair use circumstances (meaning personal duplication of material you paid for across formats for convenience where it’s only being used in one place at a time) constitutes copyright infringement, or piracy. As a part time (and former full time) musician, I admit that it is handy to have free access to songs in order to learn them for later performance. I don’t even care that much about sound quality for that purpose. Also note, that when I perform someone else’s song somewhere, fees are paid for it’s use. Not directly by me, ASCAP and such determined that was too involved to be practical, but by the venue that hires me. And that money comes out of what I might have been able to negotiate for myself if the venue didn’t have to cover that overhead cost. Things that are my personal property should be up to me how I want to have them handled. If I want to give away snippets for promotional purposes, that should be my choice. If I want to give away whole songs in the hopes that people would go to CD Baby and pay for the rest of them, that should be my choice. It’s not up to entitled brats to decide that for me. 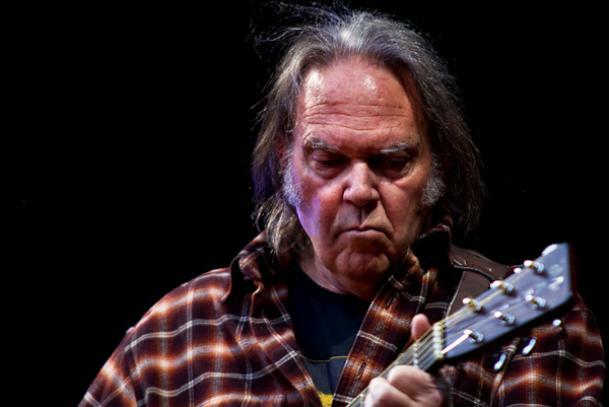 Neil Young still does not allow taping or streaming at his shows. I would say that a live performance is different… He’s already made his album, but by sharing something he’s creating in the moment and is taking real effort to make, it does hurt the artist; come to see the show if you like the guy, give some support. let s look at Android. Paid apps and games can be side loaded. What I do before purchasing them I review them myself. I download pirate copies off the internet. If i like them then I purchase them if I dont like them I dont. simple. Its a win win situation for both me and the authors. There are some benefits for both in this approach. I agree with you strongly with regard to the effect of friction and piracy. Many people watch consume pirate television because of the effect of transmission rights barriers across territories and long delays in selling shows abroad. Three years and United States of Tara has still not been picked up by UK television! What’s a fan to do? Also, where purchase and consumption is very easy within the ecosystem, particularly Itunes, the convenience trumps the free-ness. Media businesses have long calculated their ‘losses’ based on an estimate of the number of distributed pirate copies of a work, but the reality is that most of the pirate owners would have never paid for the work they picked up for free, so the loss is illusory. Sampling one work might just get them to buy some of the artist’s ouevre. I am against piracy in principle but it does have compensatory marketing advantages to be exploited. No, I don’t know why anyone would think this. He’s an extremely popular and well-known musician — inducted into the Rock and Roll Hall of Fame twice. The most commercially successful musicians tend to be the most amenable to casual copying, since they don’t need to make any more money. He’s not going to starve or have to pick up a day job, even if nobody buys another Neil Young album ever. Interestingly, you don’t say if Neil was for or against radio, back before he got popular, and back before file sharing existed. You do say that “radio became a huge revenue driver for music â€” although it did so in part because record labels and publishers pushed for licensing fees”. I’m sure up-and-coming bands would be completely in favor of “piracy” if they had a record label who paid them for it. I’m in an “up-and-coming band” and we actually strongly approve of our music being on file-sharing sites. We also make all our music available on a “pay what you think it’s worth” policy. However, although it is true that we don’t make a living from our music (yet – we are still in debt after making our album), what’s the worst that can happen as a result of our music being pirated? Millions of new fans listening to our music for free. That I wouldn’t mind at all. Of these (theoretical) millions of new fans, some would then decide to pay for our music, some would decide to pay to see us live, some would decide to buy a t-shirt etc. And this isn’t a radical, bold business strategy by any means. It’s exactly what radio did for artists in the 20th century. So: Everything is freemium, sometimes unintentionally. When free=pirated, benefits of premium typically include a clear conscience and the avoidance of any possible retribution. If the benefits are not perceived to be all that valuable, then the premium price must be set low. it’s time to stop pretending that the existing industry has anything to add to the world. Neil Young is right on spot. And here is some advice from the other end of the spectrum, from a music lover who doesnt have access to his favourite music: Music companies, if you can give me the music I want, dont expect me to pay for it! You would assume that living here in India with all the outsourcing and exposure to western culture and Hollywood, I would get access to the best of western music? Nope. Music companies decide what I should buy. You will have to search high and low for Armin Van Buuren’s State of Trance CDs. Only Tiesto and Paul Van Dyk are available becuase a local publisher has a tieup. And if I do want to get the best of trance numbers legally, wait till the end of the year for a double CD compilation from which you will only like 2-3 numbers. Forget more esoteric music: Local publishers would have you beleive that Reggae is dead. African music does not exist. Neil Young should run for President. Uh, he was born in Canada. You don’t have to be born in America, just become a citizen and you can be President. Excellent perspective from a smart man and great artist; and darn good write-up, too, dude!